"OK Google, what can you do?" The Google Assistant is more than just the virtual aid that lives inside the Google Home family of smart speakers. It’s a search engine, a companion, a home controller, and an automated reminder system all rolled into one. It’s not just available through a smart speaker either—you can get the Google Assistant on your smartphone, inside the Allo chat app, or through another device, like this refrigerator from LG. Isn't the future neat? If you've got Google Assistant on the brain, however, chances are you're also thinking about how to take advantage of it through the Google Home. The smart speaker hasn’t been around for long; it reached the market since late 2016, when it was initially launched with half of its current functionality in time to compete with Amazon’s Echo speaker sales that holiday season. 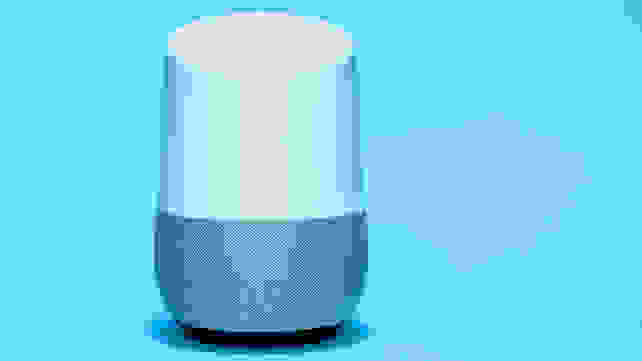 Now, however, the Google Home’s feature set has grown and expanded to include a long list of compatible products and services. Below you'll find a list of all the product categories Google Assistant covers. Click on any category to see what's available. 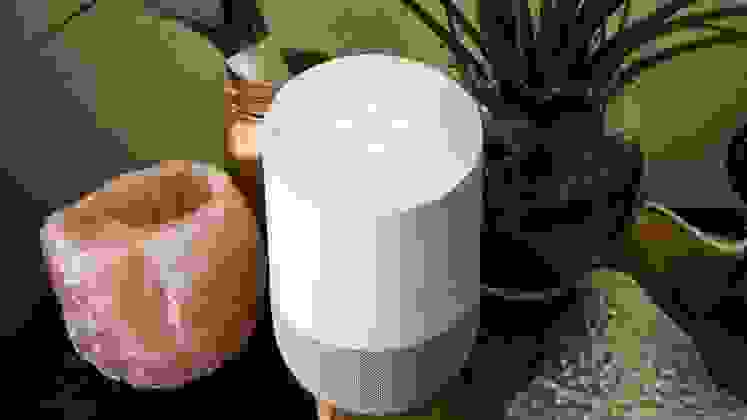 The Google Home was the first manifestation of Google Assistant in a smart speaker, and now there are plenty more varieties to choose from, including a few third-party offerings. Here's a look at some of the different ways you can bring the Google Assistant into your home. The original Google Home was launched in December 2016, but it's still one of the best smart speakers to bring home if you're looking for a digital assistant with "pretty good" stereo sound. At $129, it costs a little more than Amazon's second-generation Echo speaker ($99.99 on Amazon), though you might find that the functionality of the Google Assistant is worth the extra cash. The Google Home is a speaker equipped with a pair of always-on microphones that are constantly listening for your queries, though there’s a handy mute button when you want a little extra privacy. With the Google Home app, you can configure the speaker as a smart home controller by linking together different connected ecosystems and services. The Home app also serves as mission control for Chromecast devices on the network, which you can control by voice through the Google Home. And if you’ve got non-Google users in the house, the Home features Bluetooth connectivity. There's plenty you can do to tweak the Google Home aesthetically, too. Choose from a variety of different first- and third-party colored bases. And if you are determined to live life untethered, you can get a supported battery base like this one from Ninety7 ($39.95 on Amazon) for more versatility. This may not be ideal for audiophiles, though, as there is no auxiliary jack. If you're looking for better audio capabilities and bass-booming sound, scroll down to read more on the Google Home Max. If you're hoping to merely dip your toe into the Google Assistant ecosystem rather than jumping in the deep end, the $49 Google Home Mini may be more to your liking. Not only is this the cheapest of Google's smart speaker offerings, but it still offers all the same question-answering, home-controlling smarts as the original Home speaker. Unfortunately, this version doesn't have an auxiliary port either, though there are ways to "hack" your own if you're feeling brave (and don't mind voiding your warranty). Audio buffs and those looking for an all-in-one stereo speaker solution, this is the smart speaker for you. At $399, The Google Home Max is the most expensive of Google's speaker offerings, but that’s because the 12-pound Max is stuffed with two 4.5-inch subwoofers and two 0.7-inch tweeters. On the back, there’s an auxiliary port for a record player or an old iPod, and Bluetooth connectivity is also available. And if you need to turn your lights off, you can still do so with the Google Assistant. Looking for louder sound? You can buy two of these and link them together as a left and right speaker, not unlike the Sonos Play speaker series. JBL launched a trio of speakers with the Google Assistant late last year called the Link series. This includes the Link 10, which is IPX7 waterproof; Link 20, which is waterproof and features a battery with up to 10 hours of playback time; and Link 300, which is meant to sit pretty on a kitchen countertop and deliver top-notch sound. The Link speakers can perform all the smart home functionality of the Google Home, too. They’re available at $120, $160, and $200, respectively. JBL also launched the Link 500 for $399.95, a larger and more powerful version of the Link 300, for those looking for an alternative to the Google Home Max. One of the first third-party Google Home devices, the Mobvoi TicHome Mini is cheaper than the Google Home at $99, though it can do so much more. Not only does it offer Tap-to-Connect Bluetooth functionality, but it’s also splash-proof and has a built-in battery. The company even encourages you to take it into the shower. However, its battery isn't very strong, and while it sounds a bit better than the Google Home Mini it doesn't hear as well, especially fi you want to use it in the shower. Anker, the name that you probably associate with rechargeable battery packs and other small tech accessories, also makes an affordable version of the Google Home. The Mojo smart speaker ($49.88) is sold under the Zolo brand, Anker’s branch of audio products. This small speaker promises powerful sound in spite of its compact size. If you so happen to be looking for an IPX3-rated splash-proof alarm clock that can also stream music and control your smart thermostat, the Sony LF-S50G ($149.99) is worth considering. While its name doesn’t exactly roll off the tongue, the $199 speaker does offer a 2.09-inch subwoofer and tap-to-connect NFC abilities, in addition to Bluetooth connectivity. And of course, it displays a digital clock, so you can easily check on the time while you’re singing in the shower. The Onkyo Smart Speaker G3 looks professional in its real-speaker style. In addition to its bass-y subwoofer and 20mm soft-dome tweeter, the G3 has physical playback controls, a wired LAN input via micro USB, and a two-year warranty. Onkyo recently lowered the price of the G3 down to $150, $50 less than it cost originally. It’s true when they say the Google Assistant can help you automate the different smart things in your home, though you can’t sync up everything through the Google Home. In some instances, you might need a smart hub to help connect your motion sensors to your smart plugs, your smart lights, and everything in between. Here’s a list of what works with Google Assistant. Often heralded as the best out there, the $99 Samsung’s SmartThings ecosystem is also one of the most robust. It connects a seemingly endless combination of different third-party connected devices and automation services. You’ll have no trouble finding smart things that are compatible with SmartThings. The $99 Wink Hub 2 is not as popular as Samsung’s smart home ecosystem behemoth, mainly because it still doesn’t support everything. However, it does support the Google Assistant, including voice commands for most of the devices you connect through the Wink hub. Insteon is much lesser known than Samsung and Wink, but that’s because it’s a relatively new addition to the Google Assistant ecosystem. The Insteon Hub is compatible with a variety of smart bulbs, plugs, wireless sensors, security cameras, wall switches, and more. At $79, it’s also more affordable than Samsung and Wink’s offerings. If you’re planning to merely tap into the ecosystems of brands like the Philips Hue lighting system and GE's lineup of smart switches and plugs, the Nexia Z-Wave Bridge can serve as a gateway. The only caveat is its required $5/month subscription service to control your devices, on top of its $81 price tag. HomeSeer offers a variety of smart home controllers that are geared toward the enthusiast rather than the novice. There are currently three models available, ranging from $199 for smaller smart home setups to $900 for complex, large-scale configurations. The easiest way to get started with the smart home is by installing a couple of connected lights. Here’s a list of what works with the Google Assistant, so you can tell the Google Home to turn your lights off and on with nothing but your voice. This kit is our go-to starter smart bulb option because it has something for everyone. The three bulbs featured in this package offer a stellar color spectrum, not to mention they work with a variety of third-party ecosystems and automation services—namely Google Assistant. It comes with the Hue Bridge as well. The Philips Hue connected lighting system is one of the most expansive and extensive in the connected bulb universe. This starter kit is for those who want to keep things a little traditional. It comes with two standard A19 bulbs and the Hue Bridge hub required to connect and control all the lights, and it works flawlessly with Google Assistant once you link it to the Google Home app. The Hue Bridge can support up to 50 Hue lights in any variety, making it easy to deck out your whole home in voice-controlled lighting. Once you’ve set up a Philips Hue system, including pairing it with your smart home hub of choice, you can start adding on accessories like the Hue Go rechargeable light. This mobile lamp can put out up 300 lumens in any color and lasts up to three hours on a charge. It’s also the only light in the Hue ecosystem that does not require the Bridge. If you’re looking for a lamp that can light up the wall in any color, the Philips Hue Bloom can help add to the ambiance. Unlike the Hue Go, it lacks a built-in battery, but it’s as bright and colorful. Determined decorators and gadget enthusiasts will appreciate the do-it-yourself nature of the Philips Hue light strip. You can stick it anywhere you like and even cut it to the desired length. Like the other Hue accessories, you’ll also need a Z-Wave compatible smart home hub to control it. If you aren’t planning on an extensive smart light setup, you can get away with just a few bulbs in the house. Consider the LIFX A19 multicolor smart bulb or LIFX Z light strip, both of which connect individually via WiFi. There is also the LIFX+ A19 multicolor smart bulb with infrared to help any security cameras you have installed in the home see better at night. TP-Link may be known for its enterprise hardware, but it also makes some very affordable smart home products. Its WiFi Smart Bulbs come in four varieties: a 50W white bulb, a 60W white bulb, a 60W tunable white bulb, or a 60W multicolor bulb. TP-Link's smart bulbs don’t require a hub to work, either, and their app is, of course, compatible with Google Assistant. If you’re looking for a cheaper alternative to the Philips Hue lineup, the Cree Connected LED bulbs are comparatively priced and work with a variety of smart home hubs, including the SmartThings Hub and the Wink Hub. If you’re looking for some very bright lights, Cree also offers a 5000K variant of the bulb. The GE Link bulbs are as affordable as the Cree Connected LED bulbs, though they’re not as bright. They’re available in BR30 and PAR38 variants, too, and all varieties are compatible with Google Assistant. You’ll need a hub to connect them to your network. A compatible ZigBee hub is required for these Sylvania SMART+ LED bulbs to work. Once you get that set up, you can use your voice to turn the lights on and off, or set different colors. Sylvania makes a range of connected bulbs, too, including a dimmable white light bulb and a flexible LED strip. TCP Connected bulbs aren’t the best smart lighting solution on the market because they’re sluggish and require a hub to work. But they do work with the Google Assistant if you connect them through SmartThings or the Wink hub. Still not sold on the idea of having a hub for your lights in addition to the Google Home? Eufy’s Lumos Smart Bulbs don’t require a hub to work, though they only come in tunable white. We haven’t had the chance to put them through their paces, but at under $20 a bulb, they’re worth a try. Looking for something fun and customizable? The Nanoleaf Aurora takes a dynamic spin on the plain old smart bulb by instead offering a set of nine individual triangular tiles that you can set up any way you like. The panels can be programmed to display millions of colors in many designs, and you can add on panels as you see fit. There’s even a rhythm module that syncs the lights to music. Lutron and Leviton make the best in wall switches and dimmers for Google Home owners. That salt lamp in the corner of your bedroom or the Christmas lights you put up merely once a year can be easily automated with the aid of a smart plug. Smart switches and dimmers exist, too, if you want to really integrate smart tech into your home. Here are the switches, dimmer, and smart plugs that work with your Google Home. 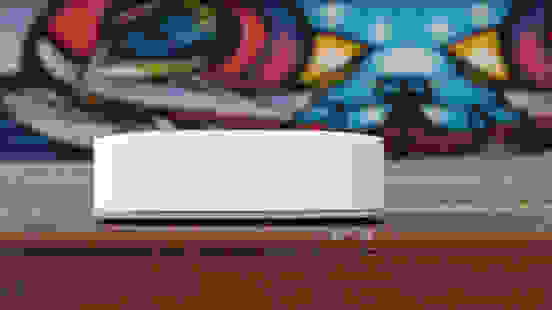 Lutron uses its proprietary wireless system called Lutron ClearConnect for its dimmers and switches, and these devices can only connect to the Caseta Wireless Smart Bridge or the Wink Hub. But they are compatible with the Google Assistant—if you decide you want a hybrid ecosystem in your home. 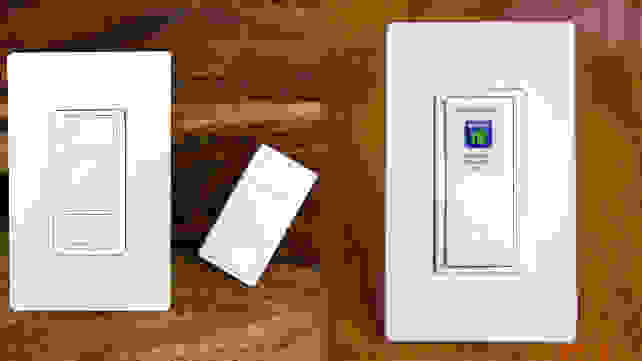 Leviton’s array of connected switches, dimmers, and outlets are all compatible with the Google Assistant, though they require a device like the SmartThings or Wink hubs to connect to your network. Got a space heater or something else that’s using up a ton of energy? The WeMo Insight Smart Plug tells you how money your appliances are costing you, while also enabling you to turn them on and off remotely. And if you regularly turn off those appliances, so they’re not running rampant while you’re out of the house, you can sync the Insight with Nest to turn off as soon as the security cameras are turned on. If you’re looking for something more compact and a bit cheaper, there’s also the WeMo Mini Smart Plug. Belkin is one of the most well-known brands of tech accessories. Its WeMo line of switches, plugs, and lights are worth checking out simply because they work quite well. If you’re looking for a simple on/off switch that works with Google Assistant, the $49 WeMo Light Switch doesn’t require a hub. After testing all the most popular smart plugs, we found the iDevices Switch to be the best available. While its name might be a bit confusing, the Switch is actually a smart plug that you can use to turn any electronics a bit smarter. You can control the plug from your phone, create schedules, and monitor energy usage. It works with Google Home as well as Amazon Alexa and Apple HomeKit, and there's no need for a hub to control it either. Just like WeMo’s lines of switches and outlets, iHome’s smart plug lineup also allows you to control lights and devices remotely. And like the WeMo devices, these also work with Google Assistant, Amazon Alexa, Apple HomeKit, Wink, SmartThings, and Nest. If you jumped headfirst into the SmartThings ecosystem, then you’re going to want to check out Samsung’s SmartThings Outlet. The outlet is a honker, but once you hook up the $44 accessory, you can automate your lights and turn them off and on with just your voice through the Google Assistant. The outlet also acts as a ZigBee repeater, helping to extend the range of any other ZigBee devices you have in your home, though that also means it requires the SmartThings hub to connect to your network. In addition to smart bulbs, TP-Link also makes smart plugs. The Google Home can control the HS100 smart plug via WiFi—no hub required. There's also an energy-monitoring model, the HS110, that's worth checking out. D-Link, best known for its routers, also makes WiFi-connected smart plugs. D-Link offers two variations that work with the Google Assistant: the standard DSP-W110 and the energy monitoring DSP-W215. If you like the idea of the Insteon ecosystem in your home, the company makes a series of switches, dimmers, and outlets that are controllable through the Google Assistant. You will need an Insteon-compatible hub for these to work in your house, however. In addition to smart bulbs, GE also makes Z-Wave-compatible switches, dimmers, and outlets that also work with the Google Assistant. Note that you will need a Z-Wave certified smart home hub to get any of these devices up and working in your household. Enerwave does not have the pedigree of Lutron, GE, or even Leviton accessories, but the company’s products are Z-Wave compatible so you can use them with any smart hub that supports the standard. They should also work with the Google Assistant through your smart hub’s application. Like Enerwave, Evolve is not a well-known brand name, though the company’s switches, dimmers, and outlets are compatible with platforms like Samsung SmartThings. As a result, they should work with the Google Assistant. The August Smart Lock is the best for Google Home users. Perhaps the worst thing to worry about before you head out for work in the morning is whether you locked the front door or not. A connected smart lock can help ease your mind when everything else feels like it’s too much to handle. Nearly all major lock companies are getting into the smart lock game, and many of them work with the Google Assistant. 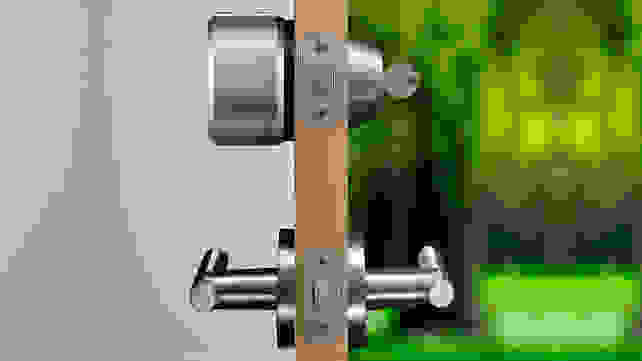 The second-gen August Smart lock is one of the most popular connected locks on the market because it does what we’d envisioned future technology would do. You can command the lock with your voice through the Google Home to lock and unlock with a corresponding PIN number, ensuring that not just anyone can open your door. You can also use the Google Assistant to find out if your door is locked when you’re away—well worth the $150 price tag for peace of mind. The Scout Alarm is easy to set up—all you have to do to install it is stick it where you want it and then pair it with the app. It also works with the Google Assistant so that you can arm and disarm your system with your voice. Netgear offers one of the most user-friendly security systems on the market, not to mention it was one of the first on the scene to provide digital assistant integration. Its Arlo line of security cameras and accessories come in a variety of shapes and sizes, and there are plenty of bundles to choose from to get started securing your home. Who’s at the door? Or walking near the backyard fence? Is that the same raccoon that’s been rummaging through your trash can night after night? You can answer all these questions and more with the Ring family of video doorbells and security cameras. There are a variety of models available, including the original Ring Video Doorbell and the Doorbell Pro. And Ring also has a floodlight camera available for keeping an eye on those critters. Google owns Nest, so naturally, its extensive line of devices are all compatible with the Google Assistant. You can't turn the cameras on and off with your voice, but you can use the Google Home to command a video feed on site and toss it onto a nearby Chromecast-enabled television. Nest makes our favorite outdoor security cameras as well as video doorbells. Don’t much care for the do-it-yourself nature of most connected security setups? The Canary all-in-one indoor security camera bundles it all into one precise package for you, including a 1080p HD camera, a loud siren, climate monitoring, and air quality alerts. The Emerson Sensi is the best thermostat to pair with a Google Home. Did you know you could automate your home’s heater and air conditioning, too? It’s all possible with connected thermostats and home controllers. Read on to learn which ones work with the Google Home. The Emerson Sensi Smart Thermostat is WiFi- and app-connected, though it maintains the aesthetic of something a little less capable with its monotone display. However, it’s actually very capable, as it offers scheduling smarts, including geofencing for location-based temperature control. Nest initially entered the market as a scrappy startup with one of the first connected thermostats. Now it's heralded as the defacto standard. Not only does the Nest help monitor your HVAC, but it also uses machine learning to know when you’re home and it should blast the heater or cool things down. In addition to the app and Google Home connectivity, there’s also a bright 2.08-inch display on the device so you can still check the temperature at a glance. Not interested in going deeper into the Google ecosystem? Honeywell is a well-known brand among American households, and it now offers a connected thermostat. Like the Nest, it displays the temperature on the device itself. You can even sync it with SmartThings to set up routines, if you like. 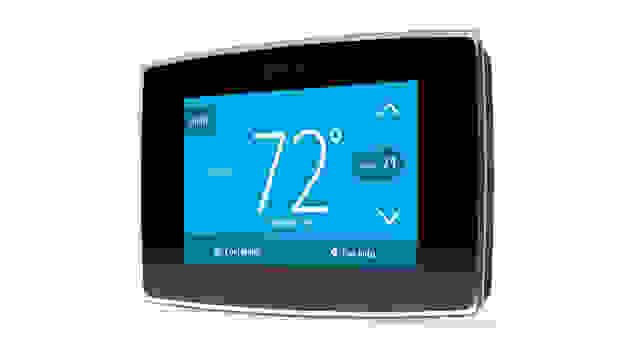 Honeywell also makes the Total Comfort Connect Thermostat, which offers a full LCD readout of what’s going on in your furnace or air conditioning unit. This one is great if you want to get into scheduling but you don’t want to rely on the companion smartphone app to do all the programming. The Ecobee3 is a worthy alternative to the pricier Nest Learning Thermostat, and it does much of the same things. The main Ecobee3 panel installs where your HVAC controls are, and there are sensors you can buy to monitor the temperature in different rooms all at once. The Ecobee3 starts at $249 and its room sensors sell for $75 for a pack of two. There’s also the Ecobee3 lite if you want to save a little cash and don’t need the extra sensors. Did you know your vents can be smart, too? If you have trouble regulating heating and cooling throughout the different rooms in your home, Keen Home Smart Vents ($129.99 and available starting April 21) can help. They connect directly to your thermostat via Nest, SmartThings, and Lowes’ Iris (another proprietary smart home ecosystem) to adjust airflow throughout your dwellings. You can also open and close vents with your voice using the Google Assistant. The Google Assistant is amazingly robust. Not only can you access it through your Android or iOS device, but you can also access it through other devices with the Assistant built into it. If you’re looking for even more connectivity beyond just what your hardware can do, there are a multitude of services that plug into the Assistant, so you can do things like order pizza, restock on toilet paper, add events to your calendar, and more. Amazon’s Alexa refers to these abilities as Skills, but the Google Assistant refers to them as Actions. Don’t see your favorite service listed here? Search for it here. You might be wondering how to shop for things by voice with your Google Home. The good news is that you can easily do so through Google Express, which supports a multitude of brick-and-mortar stores, including Costco, Target, and Walmart. All you have to do is set up your payment information inside the Google Home app, and then Google Express will handle the rest. Perhaps the most famous third-party automatic service on the planet, IFTTT effectively lets you connect “this” to “that.” It’s endlessly customizable, with hundreds of different services to choose from, including a channel with recipes made primarily to work with the Google Assistant. And if you don’t find something you like, you can make your own and see where you end up! If you’re an Android device user, then you have access to the Google Play media ecosystem, which includes the Google Play Store for apps, Google Play Movies & TV, and Google Play Music, the latter of which requires a monthly subscription for Spotify-like playlists and unlimited listening. The Google Assistant natively integrates with this entire ecosystem, so that you can easily command the content you own and pay for at your beck and call. YouTube and YouTube TV also work with the Google Assistant, so if you have a Chromecast or an Assistant-enabled television, you can throw your favorite cat fail video, television show, or a movie rental to the nearest screen with just your voice through the Google Home. If you’ve always wanted to be one of those families who puts every guest through a painstaking half-hour recount of their most recent vacation, then you’ll probably want to set up an account with Google Photos. There are a ton of reasons you’d want a Google Photos library anyway, but the fact that you can also call up a photo album of your choice to the nearest Chromecast-enabled television is quite the ability. If Google isn’t your thing, there’s always Spotify, one of the world’s prominent streaming music services. You can play and control your Spotify music and playlists with your voice through any of the Google Home devices or other speakers with the Assistant built in. It’s even easy to call up playlists based on your mood or activities when you feel like grooving but can’t decide what to listen to. For those who prefer the radio stylings of Pandora’s genre stations, the app is available to choose as a default streaming service in the Google Home app. Access your favorite NPR affiliate anywhere in the world by setting up your TuneIn profile with the Google Home. If your favorite radio station is based in the United States, check if it’s available to stream on the iHeartRadio music service, too. Need to hail a ride? Get the car routed on its way toward you by ordering an Uber with your voice while you’re putting on your shoes. You’ll need to have the app installed, and a primary payment method already set up to use this Action. The Google Calendar integration with the Google Assistant is much more robust than Alexa’s offerings. Not only can you create a new event in your primary calendar with just a voice command, but you can also access shared calendars, which comes in handy if you’re using the Google Home to manage your household or your work meetings. It’s may not be the best pizza on the block, but it is one of the few that you can order with nothing more than a voice command. Domino’s has always been relatively technology-forward, anyway, and this is just another way it’s playing the game. Note that you’ll have to set up your payment information online before the Assistant integration will work. Ask your Google Assistant to talk to 1-800-Flowers, and it will prompt you for all the information it needs to order flowers for someone who you—let’s admit—forgot had a birthday coming up. Shout out “Ok Google, talk to Kayak” to start looking for the best flights to your favorite beach in Miami. Kayak will also help you find new travel destinations, for those days when you’re feeling insatiable wanderlust. If you’re obsessed with racking up mileage points with United Airlines, now you can check on the status of those miles with the Google Home. You can do more with the Action, too, like check in to your flight and find out if it has WiFi or power outlets. Let’s be honest here: you’d probably go to Google anyway to start your search for your next vacation. Google brought the best features of its flight and hotel search abilities over to the Google Assistant so you can ask it directly to help you plan the perfect getaway. Google offers a particular shopping list skill that keeps a running tally of what you need to stock up, and that list lives on your Google Drive. All members of your household can access the list easily, too, and they can add their selections by just using their voice or by opening up the Google file. Netflix, the favorite streaming app, is available for hands-free control through the Google Assistant. If you have a Chromecast installed, you can use the Google Home to toss a binge-worthy movie or a television show to a nearby screen instead of navigating tedious on-screen keyboards and always-changing menus. HBO Now offers similar actions, too. The Automatic is a small device the connects to the diagnostic port located inside your car. It collects data on things like fuel levels and engine light codes, and you can even set up IFTTT commands to mine relevant car data and file it away for when you need it. To set it up to work with the Google Home, you'll also need to use IFTTT to create a recipe that recites your car's status when prompted. The garage door is another part of your home that you probably didn’t know could be automated. Garageio is a small, WiFi-enabled dongle that you can plug into your existing garage door. From there, you can set up the Google Assistant to open and close the garage door from wherever you’re laying in the house, as long as there’s a compatible device nearby to take your command. The Chromecast is the obvious choice for anyone living in a Google- and Android-dominated household. The streaming dongle connects to your TV's or monitor's HDMI port, syncs to your WiFi, and uses your smartphone, tablet, or computer as a remote. "Casting" content works from most of the major streaming apps, as well as Chrome and YouTube. Plus, at $35 it's an absolute steal. Google never meant for its digital assistant to be contained only inside a smart speaker. It's available on many of its Android-branded smartphones and tablets, as well as on select Chromebooks with Chrome OS built in. If you have an iPhone or iPad, all you need is the Google Assistant app to get access to all the features you just read about above this one. Leave it up to LG to bundle in the Google Assistant into its home appliances. If you've wanted to talk to your refrigerator or washing machine, you can do so with the Google Assistant. Most of the functionality is related to controlling other parts of your smart home, however, so don't toss out your old appliances and replace them with these newfangled connected ones just yet. But if you were planning to take the plunge anyway, at least now you know the functionality is there. If you're one of those fancy people with a robotic vacuum doing all the dirty work for you inside your house, then you'll be happy to hear that there are many brands out there that work with the Google Assistant. Robot vacs from the likes of Neato, Shark, Ecovacs, iRobot, and Deebot all integrate with the Google Assistant, so you can voice command your house to cleanliness.